Voted the #1 Celebrity Facial in InStyle Magazine, this intensive facial is so popular with celebrities that it’s been called the Red Carpet Facial. Many celebrities use this facial before their big nights out at events and functions. The facial has a high profile of A-lister including Gwyneth Paltrow, Halle Berry, Jessica Alba and Michelle Keegan amongst others. The clinical facial is designed to rapidly and safely resurface the skin, reduce fine lines and wrinkles, smooth, and encourage cellular renewal. The facial is a rejuvenating treatment that bridges the gap between mild facial and an invasive peel. It can also help clear acne and improve acne scarring, as part of the treatment programme. You will feel that your skin is tighter and firmer after the facial. If you have sensitive skin, you may have redness which will last a few minutes to a few hours. There is no downtime to this treatment and you can continue your day as normal. It is important to lather up with sunscreen before you step out though. The innovative facial uses both elements of heat (Fire) and cold (Ice) treatment. 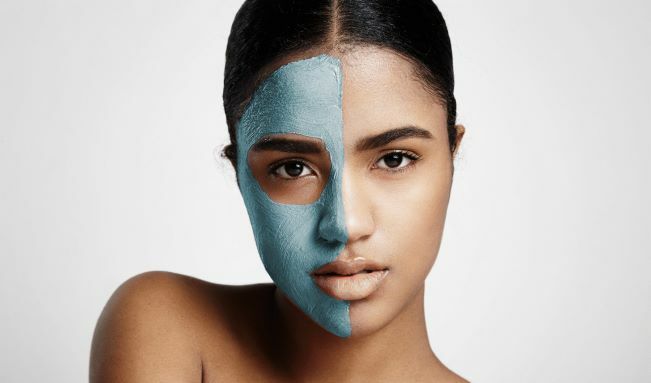 The “Fire” part of the facial is an intensive resurfacing masque, using ingredients such as cinnamon, the heat is transferred onto the face giving a slight burning sensation. Do not fret! This section of the facial is fairly short and last roughly 3-5minutes. The next step in the facial is to cleanse the face of the “fire” masque and to put on the rejuvenating “Ice” Masque. As the name suggest, the “ice” part is indeed cooling and soothing, it aims to intensively hydrating your skin. This part of the facial is completely relaxing and you may even fall asleep whilst being pampered by the cooling treatment. After 20minutes, the masque comes off leaving your skin glowing. The Fire & Ice Facial can be repeated every 4 – 6 weeks, for a series of 6 treatments. You will be able to see incremental difference in the appearance of your skin with each additional treatment.